The Galaxy Express: Please describe the world of your Blue trilogy in the form of a travel brochure. Diane Dooley: Enter the Blue Universe at your own peril. This is an experience for only the most foolhardy of travelers. Leave the starving and environmentally-degraded Planet Earth behind aboard a charming rustbucket of a space freighter. Be sure the captain isn’t drunk when he enters the jump coordinates. Share nutripacks with the captain’s delightful companion, but DO NOT piss her off. Enjoy the brothels and drug dens of the space station, Artemis, the fabled ‘last port before the dark,’ being careful not to encounter the station’s owner, the man they say is guilty of crimes against humanity. Go jump around the universe, being careful to avoid the space pirates, warlords, murderers and lunatics. Do not go to Valhalla Station! If it’s all too much for you, ask to be dumped on the dull-as-ditchwater planet, Pastorale. Wait there in utter boredom until you are rescued and returned to Earth to die a slow death of starvation. Bon voyage! TGE: What is the title of the second installment? Can you give us a hint about the premise? DD: It’s called Blue Nebula. The first part of the trilogy, Blue Galaxy, was written entirely from the hero, Javan Rhodes’, point of view. Blue Nebula continues the story from the heroine, Sola de la Vega’s, point of view. Being that she is a very bad girl, I’m hoping that readers will enjoy finally getting to see things from her perspective. Sola was a bit too bad for many romance readers’ tastes, but she really is a very tragic figure and the poor thing has so much to learn about being a decent human being. TGE: When can readers get their virtual hands on BLUE NEBULA? DD: It will be released by Carina Press in September, 2012. I’ll be doing some giveaways shortly before the release date, though. Details will be on my blog sometime in August. TGE: Where does the Blue trilogy fall along the SF-romance continuum? DD: I consider it science fiction with romantic elements. 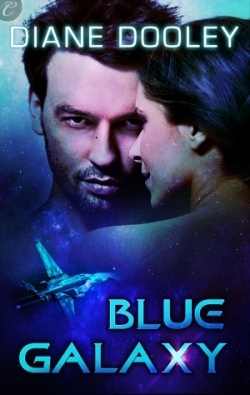 The romance is front and center in Blue Galaxy, less so in Blue Nebula, and goes in a totally different direction in the final part of the trilogy, Blue Planet. TGE: What did you eat for breakfast today? DD: How strange. I actually did eat breakfast today for the first time in years. I’m under doctor and husband orders, you see. I forced down two slices of toast with my usual pot of coffee. 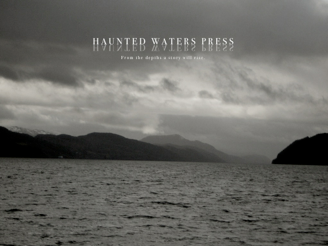 TGE: You recently won a short story competition at Haunted Waters Press with your entry, “Monster.” Congratulations! What inspired this story? DD: I’d been struggling to write the final part of the Blue trilogy, mainly because one of the characters was giving me great difficulty. I was having a hell of a time getting inside her head and understanding her. Then Haunted Waters announced a three hundred word flash fiction challenge with the theme of ‘hindsight.’ I got inspired and, in less than thirty minutes, I wrote a short story from the perspective of that tricky character. I understand her much better now. TGE: How is “Monster” related to your Blue trilogy? DD: It’s written from the point of view of a character who never actually gets a POV in the trilogy itself. She’s alluded to in Blue Galaxy, makes a brief appearance in Blue Nebula, and becomes a major character in Blue Planet. Her name is Hathaway Jones. TGE: When will “Monster” be released, and where can readers find it? DD: “Monster” appears in the recently-released Summer 2012 issue of From the Depths, Haunted Waters Press’ quarterly literary journal. I was pretty shocked to win the competition, to be honest. I wear the title ‘genre hack’ with pride; I never thought my writing would be pretty enough for the literary world and I was up against some stellar writers. I was gobsmacked when they announced the winner. Haunted Waters did an absolutely beautiful job with the journal. Check out the summer issue (and the two previous issues) to see a wondrous combination of art, literature and technology. [Heather here. I’m jumping in to add that “Monster” is a great read, but be warned: the story packs a tragic punch. Still, it’s worth venturing into non-HEA SFR territory for this one. Plus, it's free!). TGE: Name an interesting fact or element you discovered in a science fiction romance book, film, or television show. DD: Firefly taught me some very important things. It managed to combine sci fi, romance, and horror in ways I really enjoyed. In particular, the horror elements (the traumatic story of what was done to River Tam and what they turned her into, the freakin’ Reavers!, etc) showed me ways in which I could combine my three favorite genres into a unified whole. I like westerns just fine, but I do think Firefly overdid that aspect a tad. And so I also learned about the importance of balance in multi-genre stories. DD: All over the shiny ‘verse *grin* I’m building a website, I blog at Writing, Stuff and Nonsense and Contact: Infinite Futures. I tweet, I facebook. It’s not hard to track me down. Readers should feel free to come holla at me in any of these places. Diane Dooley writes science fiction, romance and horror - sometimes all in the same story. She writes short stories, novellas and novels - for her sins. She reads - a lot. Ms. Dooley, thanks so much for your time, and for your art.